The extra content due to be included on the first ever Season Sixteen DVD have been confirmed by Walmart. The US release, A Very Thomas Christmas is the debut home video title to feature episodes from the last Nitrogen Studios made series. Now confirmed by the above mentioned retailer, only two extras support the disc. A notable exception is Watch with Mr. Perkins!, who is omitted from the release. 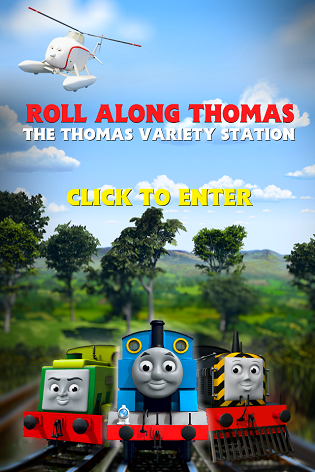 A game called, Thomas' Christmas Journey stars alongside three Guess Who? puzzles centering on Thomas the Tank Engine, Emily the Beautiful Engine and Charlie the Fun Engine. Although The Christmas Express starts the disc off, Walmart's description refers to the story as, Christmas Tree Express. It is not known whether the original was a draft title or merely used for the UK version only. Episodes Include: "Christmas Tree Express", "Ho Ho Snowman", "Salty's Surprise", and "Emily's Winter Party Special". There have been 20 Mr Perkins segments so far as HiT have told us, its liable he will feature, he's just not mentioned as much now. He's on the DVD. Just like TEngine said, they filmed 20 of them and haven't mentioned him as part of the DVD since at least Merry Christmas Thomas.